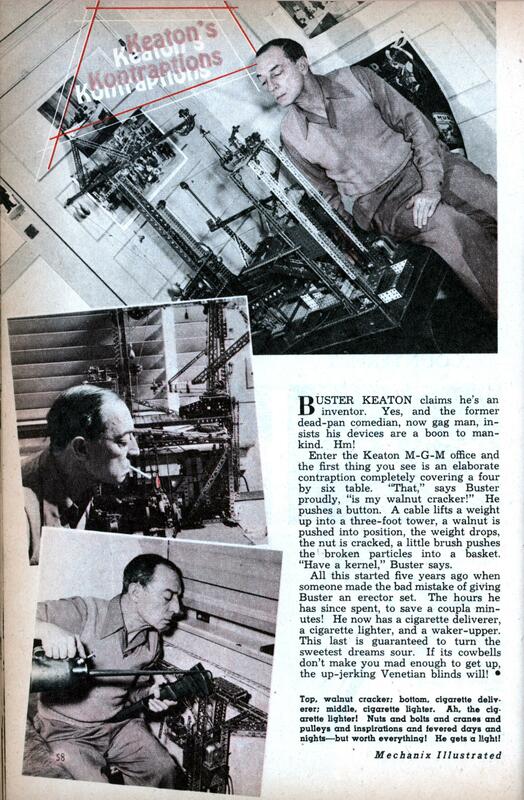 BUSTER KEATON claims he’s an inventor. Yes, and the former dead-pan comedian, now gag man, insists his devices are a boon to mankind. Hm! Enter the Keaton M-G-M office and the first thing you see is an elaborate contraption completely covering a four by six table. “That,” says Buster proudly, “is my walnut cracker!” He pushes a button. A cable lifts a weight up into a three-foot tower, a walnut is pushed into position, the weight drops, the nut is cracked, a little brush pushes the broken particles into a basket. “Have a kernel,” Buster says. All this started five years ago when someone made the bad mistake of giving Buster an erector set. The hours he has since spent, to save a coupla minutes! He now has a cigarette deliverer, a cigarette lighter, and a waker-upper. This last is guaranteed to turn the sweetest dreams sour. If its cowbells don’t make you mad enough to get up, the up-jerking Venetian blinds will! I love Buster Keaton movies. He beats Chaplain hands down. If you want a good place to start with him, rent or Netflix “The General”. A great Civil War movie made when there were still plenty of people around who lived through it. The scene where he blows up a bridge and runs a train off of it is unforgettable. (No special effects. Real bridge. Real train.) The amount of comedy that he can get through to the audience with no sound is also incredible. The General actually has _some_ special effects. I seem to recall a shot that makes the camera seem to go through a hole in a tablecloth, for example. Keaton was very innovative with film, as well as with Erector sets. Pardon. I just meant that there were no special effects in that scene. If we want to get picky, I would say that firing blank cartridges counts as special effects. Didn’y mean to have sounded persnickity – I just love Buster Keaton’s camera tricks. Remember the house falling down on him (I think that was in The Navigator.) It was a combination of art, skill, and guts, with just enough sfx to bind it all together. My favorite is still The Playhouse. 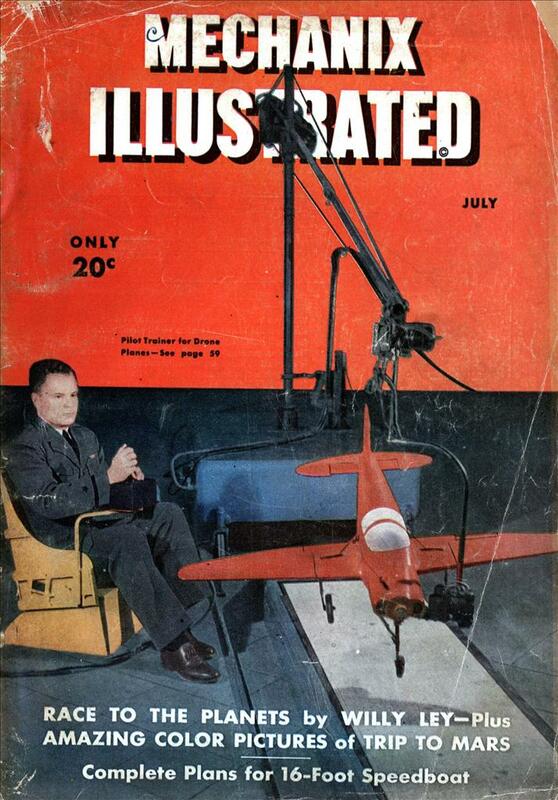 Instead of Erector Sets, maybe MGM could have given him an actual movie to work on. And yes, I know about the stateroom scene, but that’s just not enough for me.